God willing, Ancient Faith Publishing will release the revised, expanded and updated edition of Orthodoxy & Heterodoxy in December 2016. I’m excited for this and am very happy with how it’s shaping up. This will be a better book in nearly every way. Get the new podcast episodes here. 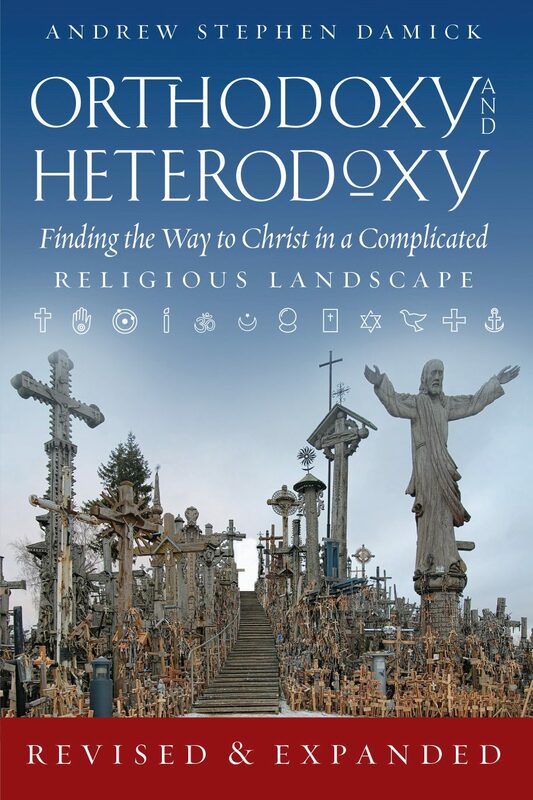 Orthodoxy and Heterodoxy 2.0 is now here. Here's an excerpt. Fr. Andrew- I read the first edition of your book and found it very thought-provoking. I am now greatly enjoying the “expanded” version per podcast on Ancient Faith radio. Between your first book, the most recent podcasts, and the series you did on “Fundamentals of the Orthodox Faith” on the Roads to Emanaus podcast, I have been convinced in my heart that Orthodoxy is the road I need to be following (so to speak). I have been a life-long Protestant and your work has addressed many of the fears ingrained within regarding conversion (most likely due to Protestantism’s deep distrust of anything resembling Catholicism). It also dramatically opened my eyes to the problems that continue to stem from the Reformation- I was able to see and understand as never before. I want to thank you for the part you have played in what I pray to be my soon upcoming conversion ( as soon as I find an Orthodox church that I can attend). Looking forward to the new edition and (prayerfully) more podcast series in the future- I love and am blessed by your work.